By Thoriq Firdaus in Hosting. Updated on November 7, 2017 . 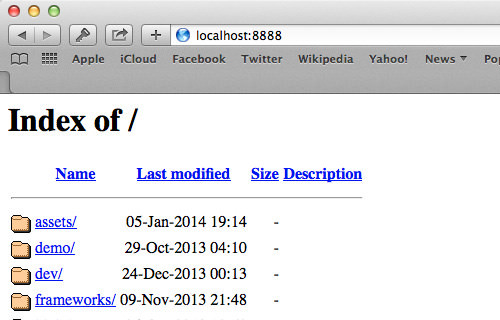 Access http://localhost:8888 in the Browser to verify that the Apache server is working. If it does, it should show “It Works!”. 4. Lastly, access http://localhost:8888 in the browser. It will show all the directories that are stored within ~/Sites folder, as shown below.